Someone to whom the strength, the colour and the taste of their cuppa must consistently be as they require them. 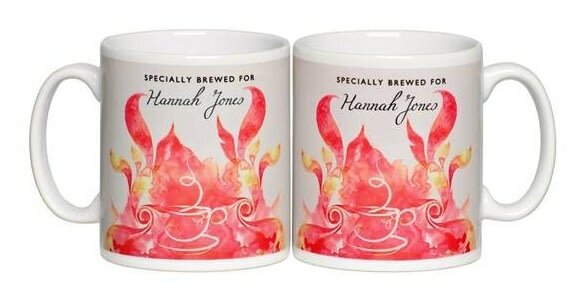 The colourful modern and abstract design on this 10oz ceramic mug is repeated on both sides and is personalised with a name in a script type. The classy mug is scratch resistant and is safe in a dishwasher and a microwave.